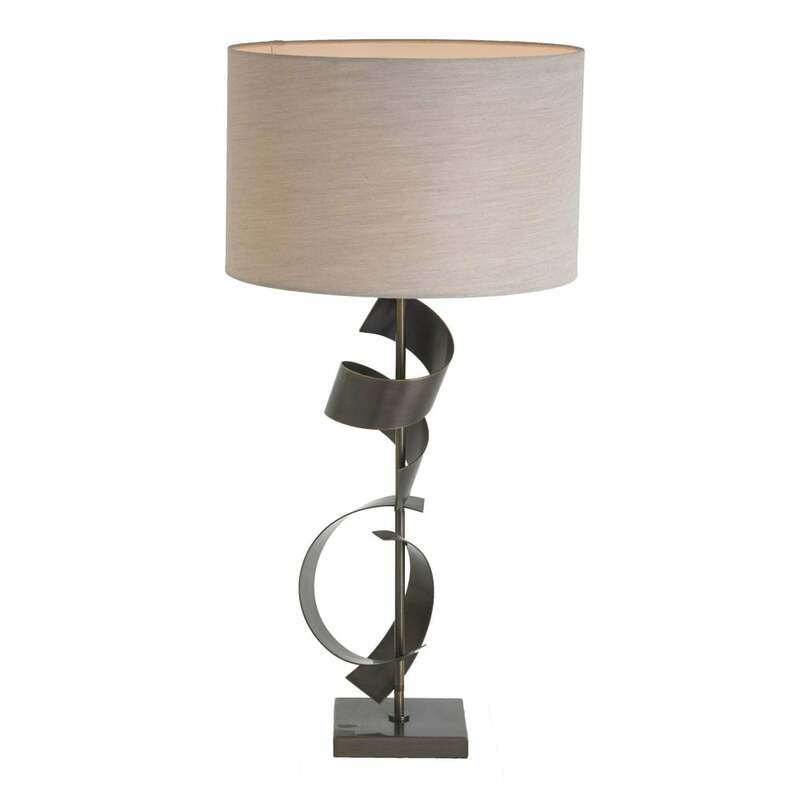 Light up your interior with the bronzed Scroll table lamp from RV Astley. An antique brushed brass base with scrolled detailing through the middle provides the statement design on this exquisite table lamp. The timeless design is crafted from an on trend antique brass base, with a circular greige drum shade naturally complements the ornate design. The Scroll table lamp would be an ideal addition on a coffee table or console table within the living room. Style with neutral colours and mixed metallic to enhance the antique brass of the base.